Down to 80% now I've voted! I have a life hence why I'm just on. I see no need to change it and I see nothing that has or will change my mind. Lol - the brand is absolute pish. Almost as stupid as your childish lol. It's been about long before you were born and will still be here long after you're gone. I wouldn't bank on that bud. It may still exist but the top division teams will be elsewhere. It's an absolute joke of a name to give to an adult grade of football and should have been stamped on 50 years ago. It won't survive that much longer in its current guise. An utter embarrassing term that needs to be wiped out. No less stupid than the term non league. Sounds like you only play cup games. The whole product is needing revamped if we are going to call it semi-pro football it needs to be run in a professional manner the way things are just now the whole grade is in danger of disappearing if things don't alter. 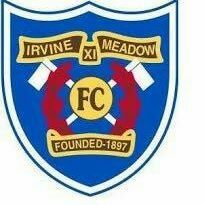 Just like the original poster I help run the Meadow website and we get a few emails from parents looking to have their kids have trials plus others thinking Irvine Meadow are a youth or kids team. We should be termed regional / non league / simply West / East / North non league / regional / semi pro. Juniors tag is outdated andcan give you strange looks if you don't explain it well. To explain it you need to give a history lesson. Everyone - and i mean everyone - understands the term "non league" immediately. We are in the West of Scotland League. That means we play in a league ergo we are a league team. I sat in a meeting with the local council management. A question put to us was why did the changing facilities have to be larger than portacabins as these should be adequate for the kids and a few adults! Are LL players referred to as lowland league players? Definitely time to change. Still too much insular thinking within the Juniors i.e. it's only people outwith the game who don't understand what Junior means. Why can't we use the same description as England - National League. You could have National East Super League, National West Super League etc etc. We need teams to put this forward to the AGM next year and generate support for it. Except they're not National, they're Regional. It's not non-league, it's non-League. Our game today was not non league. However our game in the next round of the JUNIOR Cup will be non league as it is a cup tie. It will and anybody who things otherwise is deluded. There is no chance of it staying as it is. None whatsoever. It will eventually be dragged into the pyramid under a sensible name or cast aside by the sfa and die. That's apart from the fact that the name "Junior" is just about the daftest name on the planet to give to a game played by adults on £200 a week. The name is actually belittling the level some clubs can operate at. It absolutely has to go as the poll results thus far show. It's an admirable stand to take for the sake of tradition but the game's up for "junior".